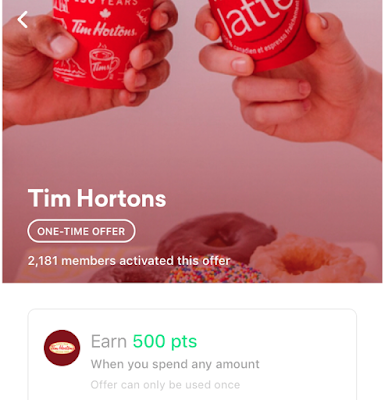 In 2016, Drop Rewards (also known as Drop Loyalty or the Drop App or simply Drop) launched here in Canada with a new take on how they wanted to reward you for your loyalty. Drop approached us to see if we would cover the program and since our mission is to educate and provide details on as many reward programs to Canadians how could we say no? Drop markets itself as a new type of coalition program whereby you collect points on purchases at a variety of merchants and then can redeem points to save on purchases at a variety of merchants. Targeted towards the millennial generation who tend to be less loyal to one merchant or program Drop has grown to over 150,000 users in less than a year. That's pretty impressive. So how does Drop work? 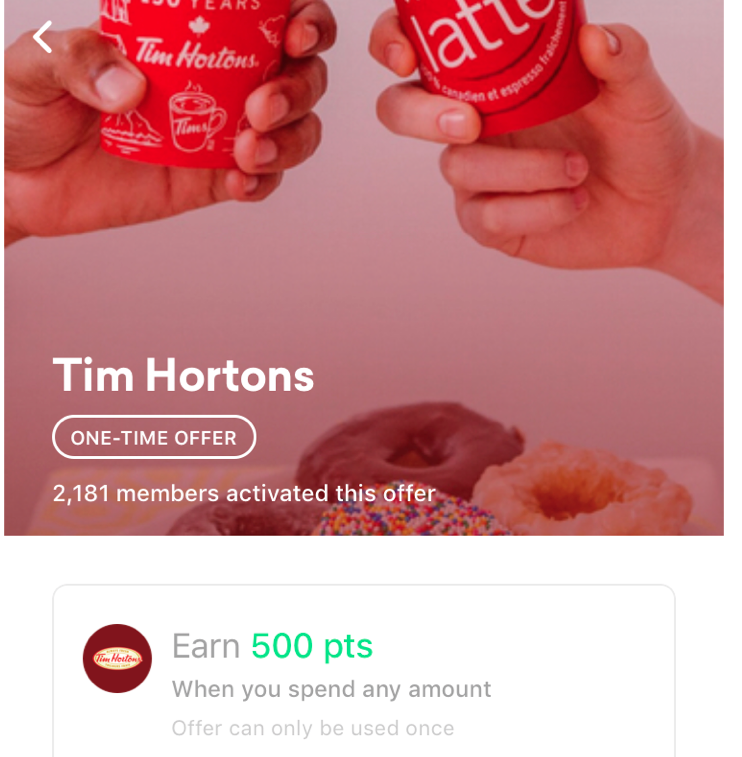 It works differently than other programs in that you don't have a set loyalty card. Basically you link your debit and credit cards to the Drop app and they monitor your transactions from the merchants you select and reward you for those purchases. I'm a little surprised they only limit you to 5 merchants. The whole point of a coalition program is that you have many places to earn and many places to redeem. At least on the latter option Drop doesn't disappoint. 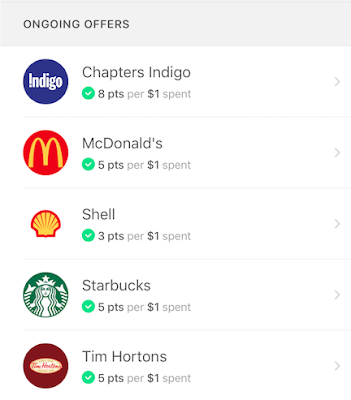 Back to earning however, Drop's marketing doesn't really let you know that you can only select 5 merchants beforehand nor do they list what merchants are available until you sign up and get the app. You are going in blind not knowing where you can earn points, so for some you'll go through the process only to find out it may not make sense for you. I'll admit that when I downloaded the app and was asked to select only 5 merchants I was a bit surprised. I thought you'd be able to earn points at all their partners. Maybe this is something Drop should consider to make the program even more worthwhile. As to linking credit cards, I had no issues getting a set of cards from one issuer set up but kept getting errors on another. To be honest I was a little reluctant to link any of them and will explain more below. 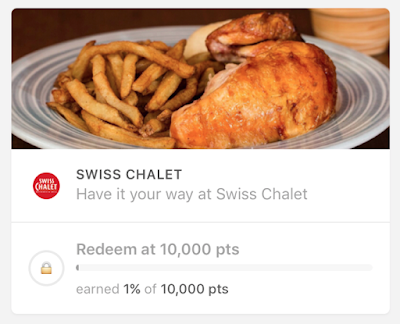 The good news is that the points you earn via Drop at the 5 merchants you pick does not negate any rewards you earn with your credit card or even loyalty cards like AIR MILES, Plum Rewards or Starbucks rewards. If the merchants you choose have their own program it essentially means you are triple dipping on your purchases. Take Starbucks for example. 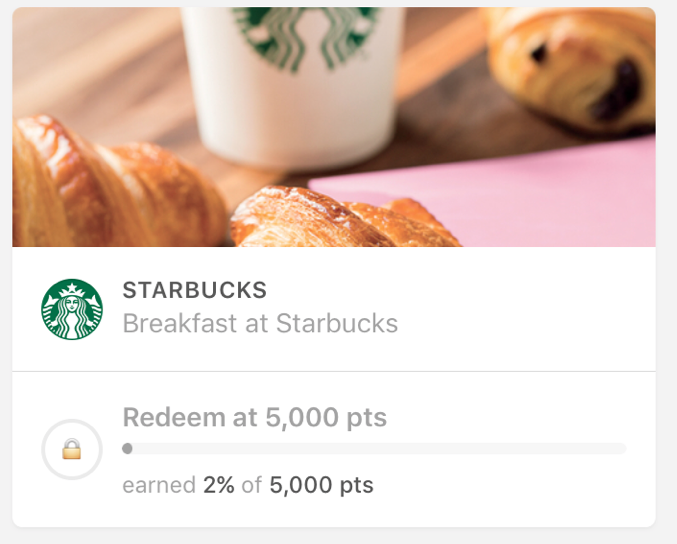 You pay with a reward earning credit card so you'll earn whatever points or miles that card offers, you show your Starbucks Rewards card so you'll earn Stars and if the payment card you used is tied into your Drop account you'll earn the Drop points as well. On the redemption side, 1,000 points equals $1 in rewards at many Drop partners, with the list of redemption partners being much larger than the list of partners you can earn at! You can see the return for the 5 partners I chose is in the 0.3% to 0.8% range. Not huge, but when you place that on top of the credit card rewards and the merchant's own program you are just increasing your return. 1. By providing the credit card login credentials I am essentially breaking most banks rules about not providing that information to anyone hence it could nullify the fraud protection provided by them correct? Drop: This is a bit of a grey area. When mint.com launched, the banks could see the value of opening up their data through these third party APIs Since then the banks have been more open to fintechs with their data. We are in fact in discussions with all the top Canadian banks. 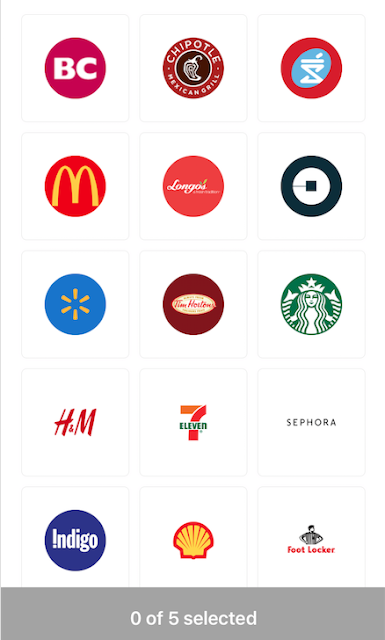 Drop: We access your account directly, whether through our third party provider APIs, or direct integration with APIs provided by the banks... it is the same technology used by Mint, Acorns and Robinhood. Plaid is backed by very credible investors with Goldman Sachs as the lead. I won't post the third question but it revolved around some research I did that one Canadian bank was blocking Drop and Drop did tell us that bank is not fully integrated with Drop yet however it is in the works. How are you able to access my transaction data without storing my account credentials? To access your transaction data, our system transforms your credentials into a key that is meaningless out of context, even to us. No one will be able to tell from our system which account is yours once linked. I do recommend reading their Security page if you do have concerns. Overall I really like the concept of Drop but am torn on whether I will use it or not. Of course I want to be rewarded as much as possible but I have to say I am not fond of how the data is accessed. I don't know, maybe it's because I'm old and not a millennial that I have these security concerns. I know when I was younger I didn't care as much about things like credit card security and such. I'd love to hear what our readers think. Have you been using Drop and are you loving it? If you haven't heard of Drop are you going to consider joining or do you have the same concerns that I do?